[toc] People often think that yeast infection is a women related problem not men, however this is not true. Male too have yeast infections. We can define yeast infection as infection caused by fungus known as Candida. Male Yeast infection mostly occurs on genital parts, but it can affect mouth too. It is like red or pink rashes and cause itching. Various factors can be responsible for male yeast infection, some of them are less immune resistance, transmitted due to partner having yeast infection, using too much antibiotics, alcoholic drinks, due to some diseases and sometimes using wet undergarments without proper cleaning may also cause yeast infection. Yeast infection in male however is not very much common as women but it can affect men too. Different types of ointments & creams are available for treatment of male yeast infection along with various home remedies too. Some of these home remedies are as follows. If you want to get rid of various infections and minor medical problem then watch your diet. This will not only protects you but will also help you to counter them if you got infected. Watch you daily sugar intake and minimize it. Sugar is also a cause for male yeast infection and so watching and minimizing your daily intake is very effective. Also use less fried foods and decrease your alcohol consumption habit. It will certainly provide you relief against yeast infection. Vinegar is effective in male yeast infection. For using vinegar in yeast infection, take few drops of vinegar and add a little water to dilute and then apply on the affected part. It will kill the responsible fungus and give you relief. You can also add few drops of vinegar on the water being used for bathing it will also give you relief. Garlic is always considered as one of the best home remedies for any skin infection problems. 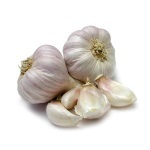 Garlic has various medicinal properties including anti fungal property that can help in yeast infection. It is also very simple to use garlic for this purpose, just eat 2-3 raw cloves daily to get rid of yeast infection or you can make paste of meshed garlic with vinegar, milk or even water and apply this paste to effected area. You will feel relief by repeating this process for 3-4 days. We cannot ignore the medicinal importance of water just because it is very easily available and can be found in anywhere. That can be our biggest mistake, because water always acts as first and very effective home remedy in a lots of health problems including infections. 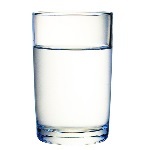 Have you ever noticed that doctors and experienced people always suggest drinking lots of water on a daily basis? Yes because it keeps various infections away from us by purifying our body either from inside or outside. In case of yeast infection or other skin infection increase your daily water intake and try drinking as much water as you can. You will certainly see its effects. Yogurt is also very effective home remedy for yeast infection. Use natural yogurt as it has low sugar content. You can take yogurt as you like. It will be very effective in your yeast infection.